We love chatting with Andrew LaFleur. He feels like part of the team here at Rock Star even though he is somehow off on his own doing his thing … we’ll refer to him as extended family. We brought Andrew back on the show to chit chat Condos, make some crystal ball type projections and we get into population growth, rents, rent control and more. Even if you’re not into investing in Condos there’s enough stuff in here about Canadian investing to make it applicable to any investors. Enjoy the show. You can find Andrew at www.TrueCondos.com or on Twitter at @AndrewLaFleur. Tom Karadza: 00:00:00 Hey, it’s Tom Karadza and on this episode of The Your Life! Your Terms! Show, we brought back Andrew Lafleur to talk all things condos. We break out the magical crystal ball and try to talk about what we see in the next year to two years and the longterm perspective on condos. I think that’s an everyone’s top of everyone’s mind now, especially if you just bought a condo or if you’re in the market, you know what’s going on in Toronto, what’s the near term future look like? What’s the longterm look like. Um, so we dive into all of that stuff on this episode and before we get into it, if you are looking for any real estate information, you can always go to rockstarinnercircle.com where we have a ton of videos, blog posts, articles you can get the income for life book which has been downloaded tens of thousands of time. Tom Karadza: 00:00:47 I need to get the accurate number on this. We’ll have it in our database, but tens of thousands of times income for life for Canadians. We give away a free digital copy on there. So if you go to rockstarinnercircle.com, you can get access to that book. We actually sell that book on Amazon.com, Amazon.ca. Um, but you can get a free digital copy of that book, Income for Life for Canadians. And the reason I want to say that you should grab that book is I’ve had multiple people over the years, tons of people over the years say they downloaded it and even if they got busy, they saved it to their desktop or whatever they, when they eventually got to it, it’s the thing that convinced them that real estate was right for them. They eventually came out, met us, we helped them buy some properties and it’s all worked out great. So, um, we’re not trying to say that real estate is for everyone or that it’s a perfect ride. It’s definitely hard work and you got to deal with a lot of different things. But long-term we have still yet to meet anyone who regrets owning property. So if you haven’t checked out the book income for life for Canadians yet, you can get a free digital copy of it at rockstartinnercircle.com. That’s the place to go for it. And with that, let’s get on with the show. Announcer: 00:01:53 Are you ready to live life on your terms? Is it time to take charge business? Building the economy, health and nutrition and more. It’s The Your life! Your Terms! Show with Tom and Nick. Are you ready? Let’s go. Tom Karadza: 00:02:20 Okay, we are recording. Can you say something just so I can hear you? Andrew Lafleur: 00:02:23 Yeah, I’m here. We’re good. New Speaker: 00:02:24 Okay. So Andrew Lafleur… am I saying your last name properly. Andrew Lafleur: 00:02:27 You got it? Yep. Tom Karadza: 00:02:28 Are you related to Guy at all? Tom Karadza: 00:02:30 52nd cousin. Okay, that’s good. Are you at you? But please don’t tell me you’re a habs fan though. If we asked you this before, this has come up. Your name and your last name is. It worries me that you’re a habs fan. No, I don’t want to have very many hubs fans on high. Now we can have halves fans. It’s not like I’m biased, but I just don’t want to be too close to them. No Long. No. Well, they’ve ruined my childhood house fans just rubbed it in their hockey success in my face, my whole childhood. That’s right. So, uh, you know, I wanted to ask you, before we talk about the stuff I wanted to ask you about your Florida property, why did you guys, when did you guys decide, why did you buy a place in Tampa? Tom Karadza: 00:03:14 actually, it turned out the best time bomb because the dollar was about par and the property prices were about the bottom. Tom Karadza: 00:05:03 three bedroom. And do you like that Condo in Tampa that when you leave you just close the door? Tom Karadza: 00:05:58 two bed, two bath. You’re looking at, around mid to hunt and like maybe to 70 it. Got It, got it. Like that. Yeah. So it still seems like, okay, it’s not possible if you’re just starting out with a family, you have other expenses, but it’s still possible for somebody to go down there. You could still go into the boonies of Florida and you can still get, you know, you can still get condos for like under 100,000. Um, I’ve always had a bias against Florida because I guess most of my time was always spent around the Orlando area because we’d go to Disney, which we love as a family. Definitely love it. Like Disney cruises, the theme parks, everything we love about Disney. Yeah. And just going around, I always see the cvs stores with the big parking lots and I’m like, ah, there’s nothing right. I’m so biased towards Europe where I just feel there’s culture oozing out of every block. Tom Karadza: 00:06:44 Like I’ll look at a place in, in Europe and I’m like, what war was fought there? Like how many people died there? And then if I think before the wars, I’m like, how many neanderthals? Homo sapiens on that hill over there. Yeah. How did the Homo Sapiens? I’ll get together to beat the neanderthal. Whereas when I’m in Orlando I’m thinking like, oh, that cvs store looks exactly like the last 15 cvs stores that I see this cvs dates back to 1987. I can tell you how the lighting that’s in there still a little different than the one from 1999. The nineties. Right. So yeah, it’s totally with you, but yeah, come, come see us in Tampa. It’s why we actually like Tampa is, it’s a, it’s a different vibe completely from what you’re describing. The typical suburban Florida. Uh, it’s very different. It’s, it’s a, it’s a, it’s an feel. Tom Karadza: 00:07:31 We are, our condo is downtown Tampa. So Nice for you, like 10 minute walk to the Lightening Games. Go see the love that. Yeah, definitely. You know, we have the, it’s like this is our downtown Condo, you know, that the trend towards people buying. Yeah. Living in the suburbs of the GTA, buying a downtown condo as they’re like a urban cottage. This is our life. This is us living out our like downtown Condo with that perspective of fantasies. And I remember when I worked in the software industry, there were a real rich guys and I always thought, man, these guys really have a lot of money because I would ask them, we would go out for like the Christmas party. They would come into town from California and I would say, you know, uh, they’d asked what I’m doing for the holidays and what we’re doing for the summer, and I’d always have little trips and stuff, which I thought were great trips, but then they would tell me they were like, you know, we’re going to France or something, and I’m like, oh, why are you going there? Tom Karadza: 00:09:24 to see where the neanderthals, homo sapiens and neanderthals, right? We, you want to see that? Yeah. Andrew Lafleur: 00:09:32 Uh, yeah. Again, with the four kids and everything, it’s that your trip to Europe, uh, not really happening so much. Tickets cost a lot. Yeah. And just the logistics and everything. But um, yeah. So Miami’s, have you been, have you spent in Miami now? Tom Karadza: 00:09:47 I’ve been to Miami, but three times and I just find now I’m starting to understand that city. Tom Karadza: 00:10:39 and it’s so close. Like I find as we get a little, I mean I’m 45 and I’m like, Oh, you know what? I wouldn’t mind just taking like a two and a half hour flight and being somewhere warm. Andrew Lafleur: 00:10:47 Tons of tons of flights every single day. Direct from Toronto. So it’s always a cheap flight at some, at some going up, going down. Tom Karadza: 00:10:54 Wow. You sound like, are you part of the Florida now? We’re just getting used to be Florida, the Florida tourist spot. Are you selling condos in Miami right now? Andrew? Uh, well let me tell you, that’s a brand new opportunity that Andrew Florida knock. Um, so we were just chatting about Toronto condo. So one of the guys. So here’s what we’re seeing. I just want to run this by you. One of the guys on our team here walked in the other day and he said, holy smokes. He goes, one bedrooms, he does a lot of stuff in downtown Toronto. He’s like one bedrooms. What, what did you tell him? You want to sum this up properly? He goes, uh, what is it one bedroom he sees now for it went up 100 bucks in like three months on him that he was renting out. I think for, he was doing $2,300 a month, but now he’s getting 25. You’ll correct me if I’m wrong, 2,500 month on a one bedroom and I’m rounding here, 3,500 for a two bedroom and over 4,043. 40th five. And for the three bedroom. Yes. And I just thought man, who. So you’re, you’re, you’re agree. You see these prices? Yeah. Does that sound about ballpark right for you? Andrew Lafleur: 00:11:54 Yep. Core downtown Toronto condos. Yep. Tom Karadza: 00:11:56 So, and now we’re seeing most stuff over a thousand dollars a square foot. And my generalizing too broadly there. Andrew Lafleur: 00:12:02 Nope. You got it. Tom Karadza: 00:12:04 Yeah. So over a thousand dollars square foot. Another guy that was just talking to you about Toronto condo says he seeing stuff at pretty common at around 1400 square foot. Um, he does more stuff around, uh, right in the core Hickey’s office up in Yorkville, but he’s kind of doing stuff all around. Um, we’re, I’m curious in your opinion, like I have my own thoughts and stuff. We’re, where are we headed? Like where is this? Forget it. Okay. Where do you think we’re headed? And I know, I know you don’t have their actual crystal ball. Um, but where are we headed in the next year or two? And then where’s Toronto had in the next 10 years? Have you thought about this at all? Never know. I know. I’m so good at asking questions. I know I, I just, I pulled that one out. So, uh, over the next year to where, where do you think we’re headed? Andrew Lafleur: 00:12:48 Um, short term. I think that the picture is a little bit more murky. Uh, there’s just so many. It’s such a weird economic time. I mean, you know this better than anybody. You’re constantly talking about, you know, trying to look at the economic signals and what’s happening out there and studying, you know, Benjamin Tal and all these other guys, what people are saying, it’s, it’s a very confusing time and nobody really has a clue of what’s going on and everyone’s sort of really guessing more than ever. I’m. The only thing we know for sure is that, you know, if, if a prediction is made, it seems by an economist and it’s, that is definitely not gonna happen. But um, yeah. So I would say I don’t, I don’t know what’s going to happen over the next couple of years, but, uh, over the next 10 years, I am very, very strongly certain that that prices will continue to rise by a, well, a number of factors. Andrew Lafleur: 00:13:40 The problem remains unchanged. That is the lack of supply in and a growing amount of demand. I mean the, it’s, it, the, the fundamental story continues to be true. Um, we continue to be one of the most unique cities and regions anywhere in North America. Probably the world in terms of the amount of growth that we’re seeing. You know, you guys talk about it all the time in the podcast, just the, the, the growth that we’re experiencing. But I think what’s not said enough is just that it’s not normal like the. If you look at other cities around, if you look at your Chicagos, your new Yorks, your, any other major city in North America, let alone, you know, pretty much anywhere in the western world, the growth that Toronto is experiencing, the rate of growth is not normal. Like we are way above pretty much anything. Tom Karadza: 00:14:27 I’m not aware of why that’s not the front page of the Toronto Star, the front page of the financial post. I don’t, I don’t understand why people aren’t screaming this from the top of buildings right now. I tried to do some digging on this. Tom Karadza: 00:14:52 truly believe, you know, if the only solution is very simple, it’s just stop immigration, stop people coming in that would solve the problem overnight. Right? I’m not, I’m not advocating that, but I’m just saying that that’s the problem. People just seem to just keep forgetting about that fact that we are growing like it. You look at other cities, they don’t have this problem. They don’t have this massive. Is this a, what are we on now? Twenty, 19, 95 to 2018, 23 year bull run and housing. Agree, right? What other market in the world has a 23 year old run housing for most people, they don’t even know that the Toronto real estate market can go down. Right. Because you know, if you’ve been here over a decade, you just think that it goes on forever. But Ontario’s population grew over 200,000 in the last 12 months. I think that data was from like August 2017 to August 2018. Tom Karadza: 00:15:47 Over $200,000 total population growth of which over $100. I think it was 130 140,000 immigration. Yup. To the Greater Toronto. I think I, I sorry. It’s always, it’s always advertised or reported as Ontario, so we kind of have to deduce for ourselves, but I think we can all figure out that if Ontario is growing at like 200 and something thousand people that have a huge majority, that 60, 70 percent of that it gets a more golden horseshoe I think. And I don’t have the data. I’m telling many people are going to London, Windsor, Ottawa. Yeah. So like the low ball at 60, 70, sure. We’re getting a whole bunch of people in here and you’re right, it’s been 20 years like this and I don’t see the end in sight. Now if you think about this for a second, the popular, if if we fall Antario grows at the population, adult population pace growth pace of about $200,000 or more a year. Tom Karadza: 00:16:40 That means every five years it’s a million more people. Mississauga isn’t even a million people. Vancouver, I don’t even know if A. Yeah. So if we keep up this pace, if we keep this pace every five years, a city larger than Mississauga is entering. Looking like Vancouver has existed as a city for, I don’t know, I’m guessing 150, 200 years. It took them to get 200 years. Say it took them to get to a million. And you, like you said, we’re adding what took a 200 years. We’re adding it in the next five years. I used to tell everybody that was 10 years because our population base was growing. Like immigration was just under like 90,000 Ontario’s population was growing over 100 and I’m like, you know, it’s about 10 years. And then I started looking at the data a little bit more closely and now the most recent data with immigration on an uptick and the population growth on an uptick. Tom Karadza: 00:17:28 Yep. And I’m like, man, it’s not every 10 years, it’s every five years. A city greater than the size of Mississauga is on its way here. Yeah. I took my father. My father is getting dentures. He got some implants. It’s been a year process of this, of getting his teeth fixed. He, he jokes with us by the way because our father has a full head of hair and he laughs at us because nick and I are clearly have very little hair left angel. I didn’t expect you to laugh right now, but we have clearly very here a little while and he’s always laughed at us just the way an older European father kinda like really in our face kind of pointing at us and he now says something so interesting. He was like, you know, all the time, I’ve given you a hard time about your hair because he has such a full head of hair and he’s like, I really wish I just took better care of my teeth, was tell everybody in the world to just take care of their teeth now because of this long adventure. But anyway, we drove up to the, a denture clinic out in Burlington with them this morning and he couldn’t believe the traffic, right? That this is normal. Like the qew. He’s like, this looks like Toronto traffic. I go, there is no difference between Toronto traffic. You go all the way to go to Agora Ben, right around. Go through Hamilton. Grimsby, St Catharine’s. I mean, we’re seeing traffic everywhere. So to your point that this is an anomaly. I think when I tried to pull the data, I couldn’t find any other state. Um, that has more immigration or population. Andrew Lafleur: 00:18:47 I can’t either. I’m looking forward as well. If anybody out there is listening, can educate us. Yeah, please let us know. But is there any other cities? Certainly not in North America. Um, I mean even like New York City has a lot of growth from what I can tell. Uh, but again, the, the, the base is way is like two, three times the size. Right, exactly. So, um, okay. So one inch wise nobody, nobody touches us. Okay. So longterm. Yeah, the population growth. In fact, I think I saw a stat I need, I need to double check and fact check this, but I saw a stat on some presentation recently that said Canada as a country was the fastest growing country in the world. Now I don’t see how that can be true in the whole world, but maybe it meant maybe the headline was the comment like Western country, like on a percentage basis I can present it like that. Yeah, I can’t, I can’t see how it would be faster than a lot of developing. Wouldn’t be like an absolute number, I don’t think. Yeah, not, no, definitely not absolute, but on a per se, it was like a pr, like the percentage growth per year. No, I can totally buy that country. Tom Karadza: 00:19:49 Yeah. So what do you think then? What about short term? I mean, we had a crazy run and condo prices have had a crazy runner. What do you think the next year or two? Like just what’s your. Andrew Lafleur: 00:19:59 I mean I’ve been saying for the past 18 months to people, uh, that I advise in terms of investing in condos, like don’t get used to these Gadi numbers that we’ve been experiencing. Like it’s not normal for prices and rents to rise at double digits year after year. Don’t get used to it, you know, it, you know, and you’ve said this for like how many years and everyone’s used to. It was like, Oh, you know, we’d better get injured, doesn’t know what he’s talking about. I got this figured out and give me another 10, 15 percent this year. It’s like, you know, um, you know, for, for many years, you know, over the last decade, most of the years in the condo market, it’s been like two, three, four percent kind of growth. That’s what we sort of was normal for us. And then over the past 24 months, it’s, you know, in rents and, and prices, it’s, it’s, it’s, you know, 10 to 20 percent, uh, you know, it’s not sustainable. Andrew Lafleur: 00:20:54 Uh, there’s, I think there’s a lot of gravity that is in the system inherently had this point where, you know, there’s a, there’s a natural pull down just due to sheer gravity of, of prices going up, a little bit of an adjustment so fast. Okay. So here’s, if we have basically a crisis where we have so much population growth and there is no real big supply growing. Um, what, let’s say there is a bit of a correction and pro, let’s just say condos come down in prices over the next 18 months. Some small amount or big amount, you pick it, what happens to the rents and that kind of environment. Because I have my, my thinking on this. Well, I actually, I just to be clear, I don’t, I don’t see prices coming down. I just see the growth rate slowing down a significantly back to more historical levels at some point. Andrew Lafleur: 00:21:42 Just mostly, I think due to gravity and just the fact that, you know, if something goes up by 40, 50 percent in a two, three year period, which it has a naturally a lot of people, a lot of demand is just priced out of the market, right? So there’s just, there’s a less pressure on prices because there’s just less people that can afford to buy and you have the stress test of course, which is a huge factor as well, pushing people out of the market. Um, so to your question of what happens to rent rental princess? Yeah, I think it just, it just puts more pressure on rental prices. I mean, again, because it’s, it all comes back to people coming in by population growth. Uh, everybody’s got to live somewhere. If you’re not, if you can’t afford to buy the thing anymore, you certainly can’t afford to buy a house. Andrew Lafleur: 00:22:30 You used to be able to afford a condo. A lot of people can’t afford that anymore. Got to live somewhere. It creates a larger and larger renter pool. So yeah, I think rents, uh, I’m very bullish on rents. I think rents are, I’m unfortunately going to, uh, going to continue to rise probably more than prices will rise over the next one to two years. So I’m with you. I agree. I mean if you’re, I feel bad for people starting out and just, you know, young people, in general, are just people trying to get going in general. It’s just like, I think back to when I bought my first condo in 2006 and he thought you got ripped off, you know, and I’m like, how am I going to do this? I, how much was it like I, I, how am I going to finish? This is going to kill me. Andrew Lafleur: 00:23:16 Like this is the worst decision ever buy at the top of the market. It might be, you know, I’m going to be on the street like Whoa, I can’t believe the bank game this mortgage. Totally 229,000, 10 percent down. So we scraped together the 10 percent down, uh, you know, 22, 23,000, something like that one land transfer tax in those days. Um, so the closing costs were like virtually nothing compared to today. If you’re a first-time buyer coming in today, you’re paying entry level condo downtown, you’re paying 500,000, uh, you know, you’ve got, there’s two land transfer taxes. Yeah, you got some rebates, but you know, your closing costs, everything is up. A property taxes of course, much higher operating cost, much higher every. Everything’s up. I’m only thing that’s not up. I see it is interest rates, interest rates are probably a bit lower than when they were back then, but not that much difference. Andrew Lafleur: 00:24:13 But again, it’s just a, it’s very tough for. So what do you tell an investor than who’s like, well Andrew, okay, I’m going to buy this thing, but I just, if it doesn’t grow the, you know, the price appreciation disappears on people and it only goes, let’s say two percent a year. Right. But rents stay strong. Yeah. Are, are you prepared for some investors to come to you and say, Hey, well Andrea, I don’t know, this is pretty garbage because like, I was expecting 10 percent because I feel like that’s going to come. Yeah. Yeah, I mean, again, people who are expecting that to thinking like that, I think they’re just, they’re, they’re, they’re misinformed and they’re not looking at the bigger picture. I mean, one of the lines, one of my favourite lines of what you always say on the podcast is just ask anybody who’s owned real estate for 10 years or more. Andrew Lafleur: 00:24:58 Anybody anywhere in southern Ontario who’s owned real estate for 10 years or more, if they regret it, you is, it will be impossible to find anybody who does that. So again, if you, if you start with a basic assumption that all real estate must be a longterm investment and, and you plan to be in that property for 10 years, even five years, you know, at least five years. But, you know, realistically, let’s say 10 years. Look at all the trends from the past, you know, hundred years even going back to the neanderthal times. Um, you know, you can’t find a 10 year period where things didn’t work out, really can’t. I mean there was somebody who just held on, like, I, I go back and, you know, uh, ahead an old European, um, neighbor, uh, one of my properties where we used to live in Toronto and he, he would all, you know, he knew I was in real estate and he was an older guy. Tom Karadza: 00:27:04 your rule? Yeah. Yeah. He wouldn’t know. Tom Karadza: 00:27:14 that one. I know Robert, I had, I had a European guy pulled me aside, 1998. Uh, and he knew I was starting to talk about real estate and you are, our family had been in real estate and he said, look, Tom, don’t repeat the mistakes of your father. Okay. Nineteen 98. This is about the peak of the market right now because the bottom was around 1990 then it kept going down for a few years. It’s come up now for a couple of years. Right? We’re due for another correction. So take my advice and don’t buy. Right. That was in 1998. Can you imagine? I should have bought the freaking story of what the Madden, my first mattamy on my should have bought the house. Andrew Lafleur: 00:27:52 Right. And in those days it’s similar to what we in the US when I bought you have a lot of shell shocked people. Yeah. Yeah. Uh, I personally haven’t lived through such a crash so I can’t really relate to that experience. But like somebody like the guy you’re talking about, he had that shell shocked kind of a ptsd almost of the crash. Still formative financial years and same thing when I bought in the US and I’m like, why am I able to buy this thing in here for so cheap? It doesn’t, it’s cheaper to, for way cheaper for me to buy this place. Then it would be to try to build this same condo. I can keep her then replacement cost way cheaper than replacement cost. You know what I mean? Good. Like it doesn’t make any sense. Like people should be buying this stuff up like crazy. Tom Karadza: 00:29:37 I don’t know, I don’t know it’s patent pending, but I, but I agree with you because I think so many people, two sides of this, like a lot of people online, some of the youtube comments and stuff we’ll get will, will be like, oh, you real estate people. You know, you just think the market’s gonna go up forever. And I’m, you know, I’m thinking you are, you not listening to anything we’re saying, right? We’re, we’re constantly short term, paranoid, longterm, optimistic. Like I’m always looking over my shoulder waiting for the Bank of Canada to say f you Canadians. We just jack the rates three percent. You know, I’m always kind of paranoid for that moment, but at the same time, over a 10 year stretch, I’m always like, ah, you know what? There’s the population growth. People always need a place to live. My best add on that, and I’m sure we’ve shared it with you before, is that our friends out in Ohio, when they had the 65 percent correction in prices, think about that. Andrew Lafleur: 00:31:33 you got. Yeah. You’ve got to be thinking about stuff like that. Um, but again, I think what I always preaches, if you own the asset, you win. Either way you win in the market that we’re in a market that we’re blessed with. Whether you realize it or not, we’re blessed with this market of, of this population growth. Like nowhere else on the planet, pretty much, uh, you win either way. If you own the asset, you wouldn’t like it if I believe. And there’s certainly, you know, can make a strong case for it if, if prices do start to go down, I don’t see rents doing anything but continuing on the track trajectory they’re on, which is up maybe even up more. So it’s because everybody’s got to live somewhere, right? Even if prices, uh, if the government, like you said, if you get that, call that from the government tomorrow and they say, you know what, the stress test, uh, instead of plus two percent, now we’re going to do plus four percent. Andrew Lafleur: 00:32:26 Basically eliminating like almost every potential buyer out there. Like I could do it. They could basically send a message to say, you know what? We’ve still believe prices are too high. We want prices to come down. We’re forcing prices down. Guess what’s going to happen. You have this massive overnight, huge pool of new renters and if you own rental properties, you know you’re going to benefit from that. He had. Your rents are going to go up huge. Your property values might go down. The probably will go down in such an event. If there was some huge recession, our property values are going to go down. It’s probably going to happen, but again, as long as we have this population growth and the problem of not building enough new housing in the region, what do you. When I see sometimes on twitter you’re talking about that kind of stuff. Andrew Lafleur: 00:33:09 I guess I’ll. Let me ask you first about rent control. What’s your thoughts on run control in general? Do you have any kind of? No, no. I don’t know. I’m not trying to put you on the spot. It just, I, I feel like, uh, yeah. I don’t know. I’m on the record a million times over rank brand controls, horrible, horrible policy. We need to get rid of all rank controls. Like you go to a place like Alberta, there is no rent control and you know, in the whole province and you’re not coming at it from the point of the owner or no dust coming at it from the whole, like as a free market guy, I’m a free market guy. Like what happened to free markets? What happened to capitalism? What happened to open economies? If somebody comes to you and says, Andrew, well, you know, I can’t afford the free market and you know, I’m a family of struggling to get by right now and I need a good place to live so don’t, aren’t these rent control is going to help me. Andrew Lafleur: 00:33:59 Yeah, but do you want your kids to be homeless? You know, like you just these controls and these prices just pushing the problem down the road. Right? You, you, you might, you might survive another day. But like if you ever want your kids to be able to live in the city, you know, you, you’re crazy to be pro rank control and, and pro price controls of any kind. It’s just what you’re saying. The right controls of the developers aren’t going to build because of the rent control does, it just makes the problem worse and worse and worse. And we’ve got, we now have 18 months of evidence to add to, you know, decades and worldwide evidence of what happens when you institute rent control in cities around the world that what happened in Toronto like 18 months ago. Can you just walk everyone through that? Andrew Lafleur: 00:34:39 So again, the fair housing plan came out in spring of 2017, let’s say we have now 18 months of life with that and that’s when rent control came in across all properties, not just a pre 19, 91 properties, but all properties are subject to rent control. Um, so, you know, a few things happen. One is people stop moving. Nobody moves. Okay, why would I move every day that goes by on less and less likely to move? I just, I just, yesterday I sent a message, every few months I send a message to my tenants, uh, all of them. And I say, you know, how’s it going? Is Everything okay in the, in the condo? And, and you know, you planning on sticking around or you know, just give me a heads up. You stay, you leaving is saying these are all month to month tenants. Uh, every single one of them very quickly replies back, everything’s great. Andrew Lafleur: 00:35:30 Love it here and not moving. Sticking around 20, 19. Thanks for asking A. Okay. Just want to let you know that this, I’ll be raising your rent. The maximum one point eight percent. Actually, I send them. I’m going to just, you know, you know, you know, you’re going to be getting the rent increase one point eight percent coming up, which is, you know, like 20, 30 bucks a month or whatever, a, every single one of them, like in the old days you’d get some grunting and groaning and you know, not every single one of them, when I issued them, the rent increase. They say thank you. Thank you. Thank you. They’re so grateful to just have the privilege of paying these below market rents that are becoming every month further and further and further below market rents, there are less and less likely to move, um, which creates less and less supply on the rental market, which is, exacerbates the problem more and more and more. Uh, it, you know, that’s the biggest thing is you look at, you look at the available rental listings out there in the market. It’s, it’s crazy. Like again, like we have less property, like less condos available for rent and for sale today than we did like 10 years ago. It’s crazy and we added a million people. Tom Karadza: 00:36:44 It’s crazy 10 years when we started this business and we were working with investors every Monday at 10:00 AM, we would review all the investors properties that we work with because they would have vacancies when they first bought a new rental property. Right? Because often we were helping people with single family homes around the Greater Toronto area and they would buy, the property would be vacant for a few weeks and sometimes it would be vacant between one to two weeks. But sometimes up to eight weeks, right, because it would take some time, so I’m going to have to give six months, 60 days notice. So we would track this to make sure everybody was getting their, you know, getting a field today we just on this Monday team meeting, we printed off the list and we’ve had a pretty busy last few months and specifically last month with a lot of a lot of closings and the list is like six long of vacant properties and we’re all looking around saying this list when we used to sell less real estate was off the page, right. Tom Karadza: 00:37:32 Like we would have it off the page and onto the second page of vacancies that we were tracking. Not that it was a problem, but that’s how long it took to get to get them filled. Now people will close on a house and they’re like testing to see like can I ask for like, you know, on a, on a single family home, like in St Catherine’s can I now ask for like 2100 and they ask for it and get it and like a week done. Whereas just a few years ago, 1600 would have been like the peak, so you’re, you’re right. Whether it’s there, there’s zero supply and part of this with the whole rent control angle, that kind of. It bothers me for a couple of reasons because I feel like I’m. I don’t know if it’s accidental, but the the system, the way it’s set up, when you. Tom Karadza: 00:38:13 When when you have low-interest rates, it’s naturally going to push the value of condos up in price, especially when there’s a growing demand from a population base, so you have cheap money mixed with a growing population base. It’s a natural mix for increase in prices. Okay. Now when those prices increase, and if we just call it five percent of your, even though it’s been higher than that, but if you. If you can only increase rent at one point eight percent a year, but the asset itself increases in value compounding at five percent a year. After two or three years. When someone’s renting from you, you often don’t feel like updating that property as the owner of the property because you’re like, well, you know what? This property is now where, when I rented it out, when I first started renting it from you or to you, it was worth, you know, 250 or 350,000, but now it’s worth, you know, three, four or five years later. Tom Karadza: 00:39:06 Now it’s worth 550,000 and the rent that I’m getting for it. Ah, you know what, I don’t think I’m going to kind of renovate anything here because you’re just getting a deal. Yep. So psychologically it just puts landlords in this place of like, I’m not going to like run it. You’re kind of luck, quote unquote luck cat. So it creates this environment where investors, rightly or wrongly or like how you’re kind of lucky to get that rent. So I’m not going to update. It creates resentment all around. Landlord resents the tenant, the tenant, the tenant a resents in a way they, I think the tenant, if I’m a tenant, I kinda resent my life because I’m like, I can’t buy. Yeah, I’m stuck here. I want to move, but I’m crazy to move. I, so I just stay. Yeah. Yeah. And then the new, the new people who are coming into the market looking for a place, huge resentment because they’re, they’re gone, I’m going to pay 1800 for this and the guy upstairs is paying $1,200 for his exact same place. Andrew Lafleur: 00:41:34 to, it almost makes sense to buy this 1965 apartment gut the thing. Take it to the concrete shell. Yeah. Tom Karadza: 00:41:42 But that’s not really putting new supply in the market. That’s just updating old supply and it’s a good investment for those that. But it’s not really putting more supply. What are you seeing as far as supply are you seeing right now? I haven’t. I don’t think I’ve kept a close watch in the last couple months. Or do any developers announcing any rental property building stuff? Andrew Lafleur: 00:41:58 Well, I, I think if you look at like urban nation and these guys who track it, they talk about, yeah, like a proposed, uh, and in the pipeline purpose built rentals are at the highest level they’ve been in decades but still a drop in the bucket compared to what they would consider to be a healthy supply thing or. But you know, I don’t want to misquote them but it’s, you know, it’s like double or triple the amount of supply would be required to bring about a so called, you know, more balanced market. Like it’s. In other words, it’s not even putting a dent into what’s required. And again that’s based on population growth. Staying around the same as it is, which we know from recent government announcements that federal announcements that immigration is probably gonna increase a lot. Tom Karadza: 00:42:48 I feel. I honestly feel like this is a massive land grab because as, as, as, as maybe that incorrectly put some angst and people like, oh my God, I got to get out there and I’m not trying to put that out there for anyone. I just do feel though that 10 years from now we’re going to look back on today. Like it doesn’t matter if we have a bit of a correction or a recession. Even I think 10 years from now we’ll look back on today saying, you know, what, I should have probably bought even more than I did. But uh, it’s obviously a scary thing, you know, to kind of tell people to buy when you don’t know the future. But I just feel like there’s going to be more population base that’s just naturally going to drive this area. And I feel like people vote with their feet. Andrew Lafleur: 00:44:10 well, and just politically to Donald Trump and everything that’s happened to us like Canada I think is on a world scale more appealing. I mean that ebbs and flows, but at the moment I think Canada is more appealing as a brand, so to speak internationally. Then, you know, the typical American dream and all that as a bit faded at the moment. But um, yeah, I, we’re, we’re benefiting from a lot of, a lot of factors out there for sure. Andrew Lafleur: 00:45:28 were just talking before like overall 2018, the preconstruction market, it looks like it’s down versus 2017 in terms of number of sales down around 50 percent or so. That’s big, huge drop on the one hand. But on the other hand we are comparing it to 2017, which was an all time record year like by far as 28,000 condo sold or something like that versus a normal year is like 15 to 20,000 kind of thing. So we’re in a sort of normal year sort of territory but down dramatically from the crazy highs of 2017. Um, and like you’re saying, why is that? Why is that happening? Exactly. A big reason is just lot a lot less new projects are launching. So the number of sales in the preconstruction market are directly tied to the number of launches and the amount of new product that is put onto the market for the very first time. Andrew Lafleur: 00:46:22 That’s when most of the product is gonna sell. It’s when it’s brand new onto the market. So we’re were a lot fewer, new launches came out in 2018, you know, there’s a number of reasons and things why that could be a, if you talk to developers, they’ll tell you because it’s just becoming harder and harder and harder to actually get their approvals and everything in place to be able to put those projects onto the market. Um, I think another factor again is just sheer gravity in, in, in the fact that prices have gone up so much over the past 24 months that there are just, it, it, it’s, it’s harder to sell a $500,000 condo than it is to sell $250,000 condo. It just is because there’s less. Tom Karadza: 00:47:06 So some are launches sitting around a little bit. Are they selling out still? Andrew Lafleur: 00:47:10 Uh, it’s a mixed bag. Some are selling out Mike overnight and drawing lineups and crowds. Others are, you know, selling a chunk and then they’re kind of stale, stale mate. Tom Karadza: 00:47:23 Okay. Can you give us some. Many are the ones selling out right now just location based. Andrew Lafleur: 00:47:28 Um, and yeah, I mean great locations are still selling very well and anything that, you know, anything that does offer better than average value, like, you know, I saw a lot in regent park for example, downtown region park is like the best value of anything downtown. So you know, and you’re buying something in there for like 8:50 per square foot versus everything else. Downtown is a 1100, $1,200 plus per square foot. Give everyone the major intersections for region park. Uh, so the downtown east side, I’m done das and parliament, a sort of area to. It’s a big area that’s undergoing major changes in regentrification. Um, so yeah, like an area like that project could sell out like overnight, like three times over, like an infinite amount of demand pretty much. Um, and then you have other projects that are, you know, 1200, 13, 1400 per square foot. Andrew Lafleur: 00:48:23 They might be in amazing, great, great locations and they’re selling well, but they’re not selling it overnight. Like, you know, two years ago, the same project, if it came out at the same location at $900 per square foot, it’s selling out overnight because just people can afford it, people can buy it. But uh, it’s, yeah, there’s just as gravity naturally is just sort of a factor when the prices have gone up so much, so fast. Yeah. That’ll be interesting to see in January, first one of the last, um, financial institutions that seems like it has some lending policies that are a little bit more, I don’t want to say lenient, but maybe flexible. I’m one of the credit unions. They’re tightening up their lending as of January first to match all the big banks and in January it feels like then most of the lending options that we look at are going to be tighter than they have ever been. Andrew Lafleur: 00:49:12 Yeah. And if and if the Bank of Canada raises rates, again, it’s gonna be interesting to see the next 12 months, but longer term view with four kids. Uh, no, like, really, what do you, what do you think? What, what, what are you going to try and buy some condos for them? Like what, what do you think they’re in for? Honestly, I don’t know. I mean, yeah, I, I, you know, I think my, my kids, uh, I don’t know what they’re going to do. I’m sure they could live in, in my condos if, if, uh, if they need to, but uh, you know, hopefully that we can set up our kids to be successful on their own. Um, but yeah, it’s uh, you know, uh, you know, I used the conversation will go into a whole different area, but I think you start to get into like the whole, um, the whole conversation around, uh, uh, like the haves and the have nots and just the ever increasing divide in, in it’s crazy society as a whole and just, you know, the top, you know, the top five percent, top one percent taking a bigger and bigger and bigger share. Andrew Lafleur: 00:50:14 And the middle class, like you said, no more middle. It’s upsetting. You guys talk about it all the time, just squeezing out of the middle class. Um, you know, it’s, it’s, there’s some big scary trends that are sort of happening for, for society as a whole, but you know, probably most people listening to this podcast, uh, are, are fine because they, you know, if you’re listening to this podcast, you’ve listened to Tom and nick and, and people like, uh, like them, your, you know, your way, you’re likely way ahead of the curve, you likely understand fundamentally a lot of this stuff is happening and you’re trying to prepare yourself and better yourself to, you know, to not be in that, to not be squeezed out. Right. But uh, you know, as society as a whole, it’s a very tricky question. Like, what about the rest of everybody else who, you know, traditionally it’d be like, you know, just work hard, get a good job, you’re gonna be fine, you’re going to be able to, you know, gm plant to just announced is closing, you know, like, you know, automation. Andrew Lafleur: 00:51:14 I think we gave three point 8 billion. I have to look it up. I think it’s under 3 billion we gave gm but 10 years ago. Yeah. So that worked out really well. Yeah. Great investment. Now, can you imagine what we would’ve done with rebuilding on education in this province? But uh, anyway, I mentioned that houses, imagine how many houses you could have built. I’m sure someone listening to this. I worked at GM. Would it just be furious with that comment? But I mean sometimes you just have to let some things die off if they’re not going to kind of survive on their own. Um, but yeah. So what do you think, I’m curious for your four kids, have you, they’re young, but are you, what are you thinking education wise for them? Well, I like his unit. Did you go to university? I went to university. Andrew Lafleur: 00:51:51 Yeah. Yeah. Is that something that you think is for them? I think it depends on how to read. I mean there’s tons of value. Depends on the person. I mean for me I don’t think university was very useful. If I was doing it again, I would skip university. It’s funny because I say similar things, but here I am saying, oh that’s pretty useful. Yeah. But yeah, I mean it, I think it depends on the person, not like we are entrepreneurs, uh, but not everybody’s entrepreneurs and our kids aren’t necessarily going to be entrepreneurial type people. Um, so I think it really depends, but you know, it, it’s, it’s increasingly, I think becoming like it’s a results based economy. Like it’s, it’s, um, it’s about what result can you get and, and the people who get the best results generally I think are the people who have the most or the best skills. Andrew Lafleur: 00:53:36 Mr Green and I see it and I still found it useless. Tom Karadza: 00:53:39 Yeah, it’s pretty much all the same. But uh, but it did teach me, it taught me deadline. There was stuff there and I just, I, I, I’m telling my son right now, I said the value because we have this conversation. I’m like, you know what? It did teach me how to communicate. Like I did have to sit down and a research, a subject. I did have to do it on a deadline. I had to make my arguments using the written word. So I had to communicate clearly. I to frame things together. It did. It did help, I think, develop that in me, which I have used in the business world, so I don’t know if I just skipped university, if that I would just still had that ability or not. I’m not quite sure. Um, you know, my father ran his own company, our father, um, and it was a drywall business. Tom Karadza: 00:54:25 I don’t think you have to sit down and write blog posts and that kind of stuff. So imagined, imagined. Here’s the best way to put up on an eight by 11 pieces of drawing. Um, and I’ll never forget holding that drywall over my head. Oh my gosh. And the dust that would fall in my eye and my dad yelling at me, don’t let go, don’t let God. Well that’s this volume iii and he’s yelling at me in Croatian and I’m just, my arms are dying over my head and the sky is falling into place. And I remember doing that on March break and it was freezing on 12 story of a condo. You know where this was right by a Kipling subway station. Okay. I’m right next to Kipling. There’s some condos there. Yeah, I worked on those. I was us and uh, I remember, I literally never forget this. It was freezing in this March up. I don’t know how many stories we were up at. Wind was blowing and I remember thinking, I think I’m going to give you this university thing, a shot. I don’t think I can. I’m built for this. Andrew Lafleur: 00:55:19 It’s, it’s where you come from, right? It’s what you’re, what, you know, it’s what you grew up with. That’s what your base. And then you go from there. Andrew Lafleur: 00:55:30 for me, like I grew up, my, both my parents went to university. So for me, I grew up in the house where it was like university going to university was a complete given from birth was like, you’re going to go high school, you’re going to go to university. It’s just what you’re going to do. I’ll, myself and my three siblings, we all went to university. It’s just normal to have my uh, siblings have master’s degrees as well as bachelor degree. So normal, you know, it’s just, it’s what you grew up with versus you know, your is different. So it’s, it’s a, you know, but for me, you know, and, and I didn’t come from a business family, like both my parents were not business people and so my kids are growing up as kids, uh, in a business family and, and, and, and seeing what it looks like to, to come from that perspective. So, um, yeah, it’s, it’s to be different. Like you’re, our kids experience is going to be different from ours. Yeah. Tom Karadza: 00:56:24 Better or worse. Yeah. I just feel. And it’s something, uh, um, it, it’s something that, it just challenged me a lot because I’m like, man, you know what, you were able to go to university, go into this thing with condos and have success at it and build this. I don’t know if they have the same opportunity. It irks me a little bit, you know, and it’s different times. It shouldn’t bother me. But I liked growing up in a middle class family in Canada. I liked being able to go to university and I guess maybe I’m just being a bit nostalgic and thinking, you know, I want them to have kind of that opportunity, but the time is different now and I just don’t understand how to fully guarantee and obviously you can’t guarantee anything but their results and it’s, it’s a challenge I’m sure that many of us are kind of faced with and I don’t really know what the right answer is and the only answer that I can come to mind to me now is you want to own assets. Tom Karadza: 00:57:18 You want to own property. You know, my son at this age, he’s, he’s 16 right now. He’s like, Dad, I have to buy my first rental property pretty soon. And I’m like, yeah, you do. Yeah. You’ve probably heard me rant on and on enough about this, but I, I just know that I wish somebody came to me when I was 16. Oh my God. Tell me about real estate. Yeah. Or thinking about nick, he bought his first property when there’s 21. Why do you think he walks around? He’s. He pretends he’s pissed off and he walks around with that smile on his face. Yeah, he’s been, he’s been in it for like 19 years on. No, all me almost 20 years on his own. So anyway. Well, you know what I just uh, but before we wrap up here, this, this express. So tell me what you think that, that Nespresso, you were telling me that the cream on the top of the espresso. Tom Karadza: 00:57:59 It’s two things. Yeah, well we’re talking about Nespresso, Nespresso pods and it’s like there’s actually articles and stuff written. You can google it. It’s like scientists and like, like very smart, like NASA people. I don’t know who these people are trying to figure out this product, how, how they get so much crema and like it’s unnaturally good. It’s like it’s so far above all the other pod coffee products, drugs in it. I got laced with areas yet like five, 10 years down the road, something will come out and they’ll discover there’s some addictive drug in there other than caffeine and the usual stuff or this, this um, this is something that causes cancer. You know, there’s going to be some consequences to this unbelievably convenient and amazing product that George Clooney has brought into our lives because I know everyone who loves Nespresso. I’ve, I’ve literally, I think I might’ve only had one in my life, but um, and we have the machine here in the office which was a gift from one of our clients actually. Tom Karadza: 00:59:01 Um, and the machine is so big, so small cuddle, good product, who are real coffee aficionados like yourself will have an espresso and they’ll compliment the Nespresso. And I’m like, how is this happening at home? I’m getting my beans and I’m getting, trying to get me tested. You brought some beans. Thank you. Brought some Starbucks reserve beans here. Um, for me, I’m getting to be. I’m even going as far as checking what kind of water and putting in my tank and then I’m, I’m adjusting the grind of my being and then I’ll tell my wife this. I like, you know what? This little town of water, this is a little sour right here. Let me just tweak the grind a little bit and then I’ll have her tastes that also look, isn’t this way better, you know, so I’m, I’m obsessed with this stuff. Tom Karadza: 00:59:44 And then you get an espresso, you have flame in the pod and outcomes this brilliant. It’s amazing. Come on. So for our new office we have to, uh, I think we’re going to get a couple of newness espresso machines, but uh, I, I wasn’t going through. I was going to go the full grind. Yeah. No, I don’t think you need to anymore. It’s a, it’s amazing. But it’s also depressing for us. I got to tell you one story. I love the science of it and it’s like there’s a guy on our team here, a Ruben Furtado and he was sitting here and he was, we were doing a podcast like this and he’s, he doesn’t buy, he drinks coffee, but he buys like beans on sale at winners. Yeah. Yeah. Everybody, like I listened to that somebody sees them like two weeks later I had an open house and uh, I don’t think he’s working with them. Tom Karadza: 01:00:25 I can’t remember that detail of the story, but they go in, they chit-chat with them in the house and as they’re leaving they’re like, hey, you know what, I knew you’re going to be here and I had to ask you some questions and stuff about this property. Hold on, and they go up to their trunk. They popped the trunk and they have some good beans for them and they’re like, hey man, please start using some good beats. So he got a gift of good beats because see, everyone’s in selected by his old eyes but at winners. Anyway, Andrew, appreciate you doing this. If anyone wants to reach out to you, what’s the best? What’s the west side or what’s the best? Yeah, sure. So you can just go to the truecondos.com. You can find out everything about me there, including my podcast as well as your daughter handled too. Tom Karadza: 01:01:04 You’re always making something on twitter. Definitely check out at Andrew Lafleur on twitter. It’s just my name. Cool. And we’ll put that in our page notes for this podcast as well. Andrew, thank you so much for doing this. We’ll have you back on to chat condos in a little while. Thank you. Less than 2019. Hey, it’s tom crowds is hopefully enjoyed that episode of the your life. You’re a term show. If you’re listening to this and you want to get an idea of what the membership is that we run called the Rock Star Inner Circle, you can check out all the benefits members get at rockstarinnercircle.com/member. So rockstarinnercircle.com/member. And we’ll list off all the wonderful things that we’ve put together over the years. We’ve been running this membership now for over a decade. Um, and it’s filled with great Canadians, great real estate investors. It’s basically become a community unto itself. So we’re forever grateful for how this has all worked out. So rockstarinnercircle.com/member to find out all the different benefits that you get as a member here. So with that, if you’re enjoying the podcast, remember if you’re listening to this and you have any feedback for us, you can always send it to podcast@rockstarinnercircle.com and that will make its way through to us. That’s podcast@rockstarinnercircle.com. Until next time, your life, your terms. 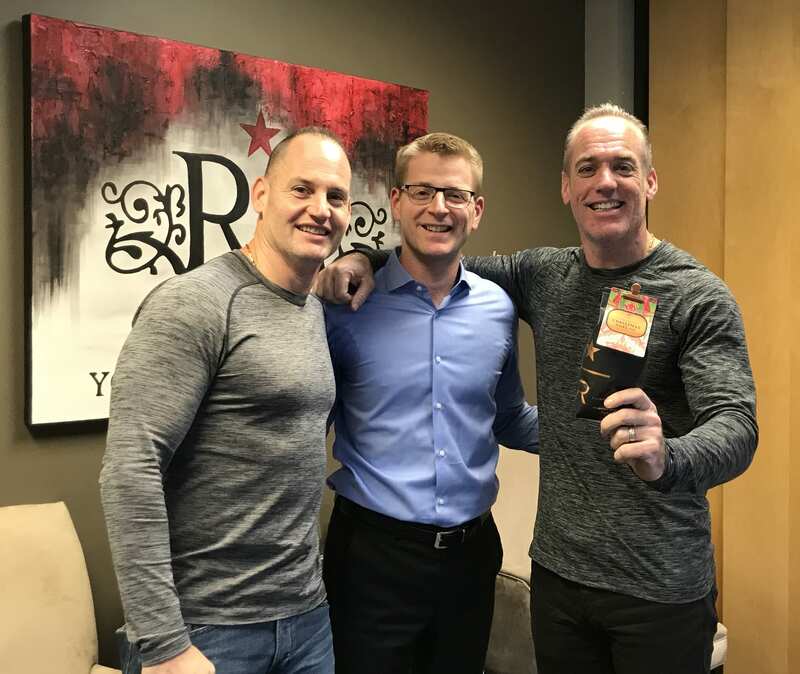 Tom and Nick Karadza are real estate professionals that are focused on helping real estate investors in the Greater Toronto and Golden Horseshoe areas create income to live life on their terms. They are active real estate investors and in 2008 they launched Rock Star Real Estate Inc., a Canadian real estate brokerage focused exclusively on real estate investments. 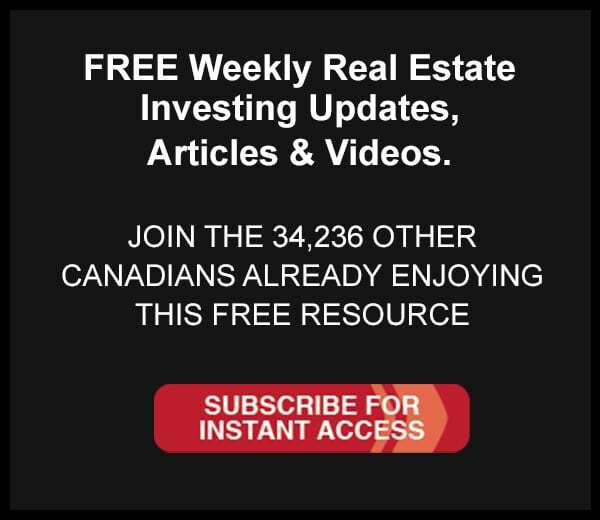 Together with their team of professionals based in Oakville, ON, Tom and Nick have worked with investors to help acquire over 300 million dollars of investment real estate and implement profitable investing strategies across southern Ontario. Copyright Rock Start Real Estate. All rights reserved!